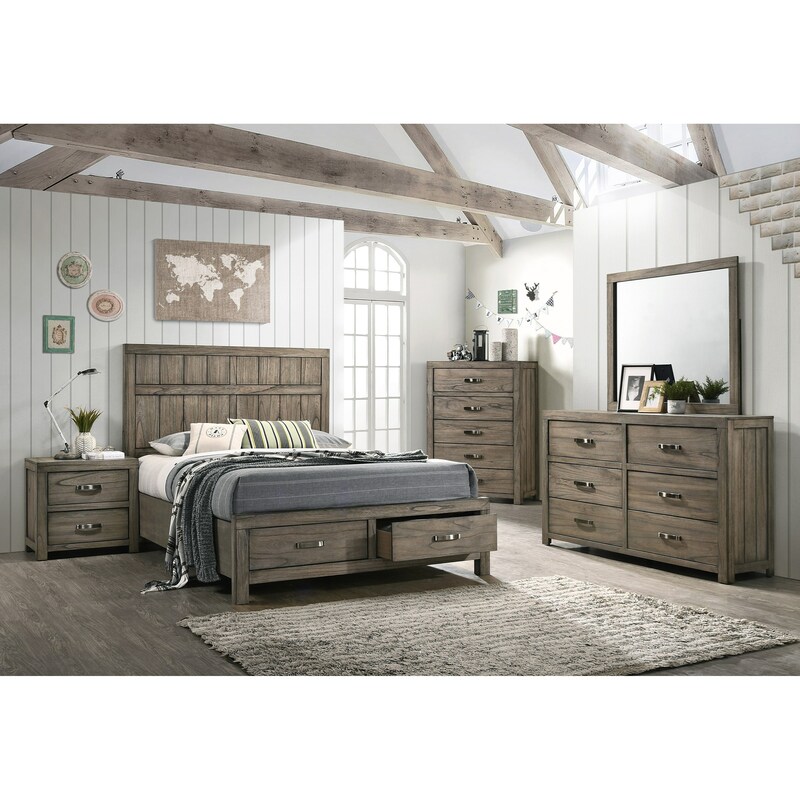 The Arcadia King Bedroom Group by Rooms Collection One at Rooms Furniture in the Houston, Sugar Land, Katy, Missouri City, Texas area. Product availability may vary. Contact us for the most current availability on this product. Ensure your bedroom is a warm and welcoming retreat when you add this collection to your space. The rustic design of these pieces has been matched to a natural brown finish, ideal for highlighting your own personal style and decor accents. The Arcadia collection is a great option if you are looking for Rustic furniture in the Houston, Sugar Land, Katy, Missouri City, Texas area. Browse other items in the Arcadia collection from Rooms Furniture in the Houston, Sugar Land, Katy, Missouri City, Texas area.